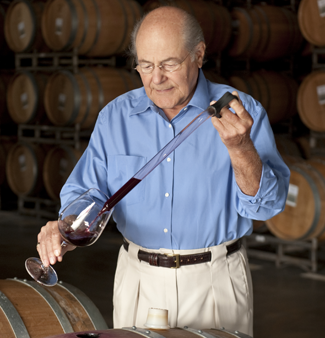 Tony Terlato is known as an icon in the wine industry. He is often referred to as one of the few wine industry individuals who has had a deep impact on how and what American wine consumers drink. He entered the wine industry in 1956 and from that time forward, he dedicated his time and resources toward making and sharing the great wines of the world. Today, he is equally as dedicated to bringing the best of Stags Leap District (and beyond) to America’s dining table. A believer that wine makes every meal an occasion, Tony invites you to share his Chimney Rock wines at your next gathering of friends and family.